I don't usually indulge in post-holiday posts (apart from when I'm shamelessly gloating about fabric finds), but I've had such a fantastically varied time in Portugal that I thought I'd share some of it. 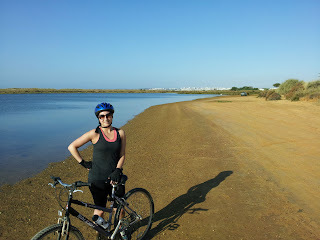 Please excuse my beach whipped hair and clammy face...it was hot in Portugal! Pinnies, lots of them to help me fulfil my ambition that I moaned about here. Skirts and trousers to help me close my wardrobe gaps. Sewaholic's Lonsdale sew-along, because I'm a sucker for pretty summer dresses. Ooops, I digress! 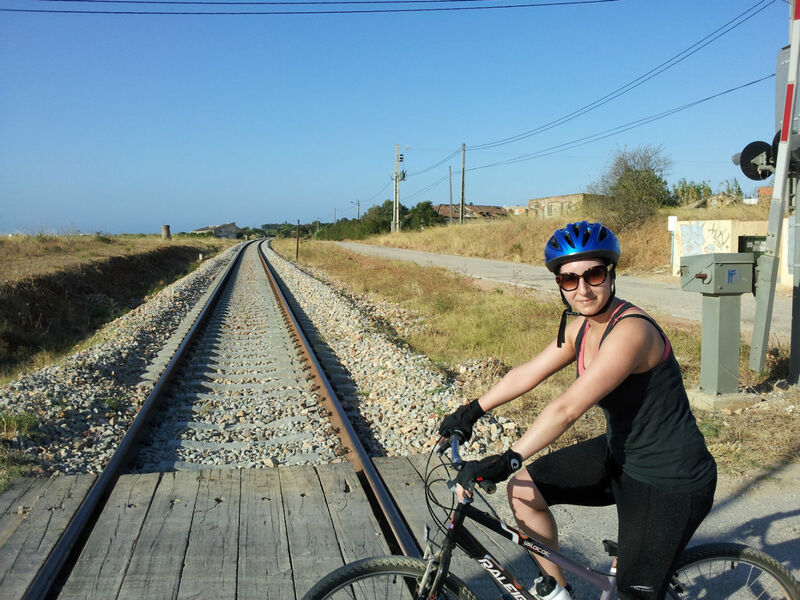 Whilst on holiday I also went on long bike rides with my dad - a total of 38km / 24 miles to be precise - after almost 15yrs of mounting nothing but stationary exercise bikes. 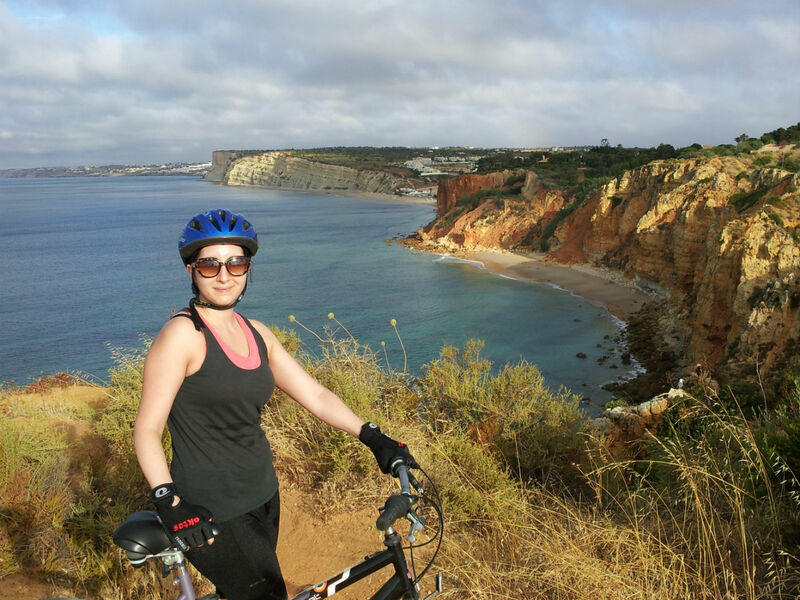 The Portuguese views were stunning and I surprised myself with just how much I enjoyed the challenging terrain. Lastly, I also indulged in a professional eye makeup tutorial. In my Uni days I used to experiment a lot with eye makeup, but in recent years I've become incredibly lazy, opting mostly just for a simple feline flick. The makeup artist was brilliant and she went through a daytime and evening look, the principles of which can be applied to all sorts of colours of course. I was surprised that the smokey evening look (left) made the eye look so much bigger than the simple day look! The makeup artist also highlighted my cupid's bow for the evening look (left) and it made such a difference! All in all, a great holiday was had, thanks to my mum and dad's awesome hospitality! How about you lovely people? Any holidays planned for this summer, or maybe you've already been? Care to share some photos? As always, thank you all so much for following and for entering...I'm sorry you couldn't all win! I must apologise first for the lack of actual sewing on my part lately, but I promise to get back to it as soon as I return to Blighty. I'm itching to get some done and I have many projects in the pipeline. Anyway, when a friend alerted me to this relatively new magazine – Vintage Life - I became incredibly exited! So much so that I even contemplated subscribing before I'd even read a single copy! But I'm glad I waited to buy the July issue (issue 10) first. I'm glad not because Vintage Life is awful, just because in parts, I found it a little too commercial and I'm not even particularly knowledgeable in vintage matters. I don't know what I expected...maybe more information about where to get genuine vintage items and tips on telling them apart. Instead, a lot of the fashion content was about vintage inspired items available on the high street and about reproduction. This is just my initial reaction based on one issue alone. The last thing I want to do is hastily write Vintage Life off, so I fully intend to continue getting it, in an attempt to reach an educated conclusion. If anything, it's great that the magazine is helping to bring vintage to a more mainstream audience. 1. 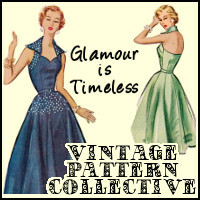 Vintage event listings around the UK during July. 2. 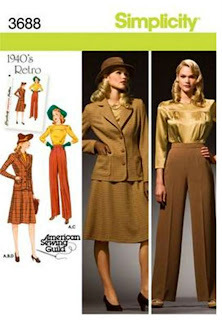 A nod to sewing/crafting by dedicating a page to ideas on customising clothes for a more vintage look. The ideas were pretty basic, but great for beginners: Lace, Buttons, Ribbon and Beads. 3. A comprehensive tutorial on making your own vintage cake stand. I'm a sucker for cake stands, but I've also seen how much nice ones can set you back, so I thought this tutorial was great! 4. Ideas of how to create a 1960s makeup look. I'm a huge fan of the feline eyeliner flick, so this series of looks/tutorials was right up my street! 5. Some pictorial food for thought for vintage inspired weddings. Anyway, enough of my 'critique'! Have you been reading Vintage Life magazine? What are your thoughts on it? Hi friends! I'm still busy sunning myself, but I always planned to host a giveaway when I reached 150 followers. That landmark happened so fast and before I knew it, I realised I have 176 special readers (which is overwhelming to say the least), so I figured there's no time like the present! Advance 9157 – an adorable vintage pattern from the mid 1950s in a size 20 (bust 40, waist 32, hip 42). I hope you love the collar variations as much as I do! 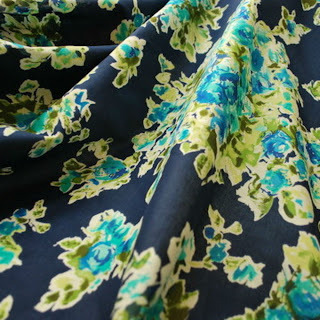 2 metres of a gorgeous petrol blue/green coloured fabric – sadly, its synthetic (probably polyester), but it would make a great blouse or draped dress. As with all my giveaways, this one is open to any country in the world. You just have to be a follower of my blog and you need to leave your comment by midnight on Saturday 23 July. I will then announce the winner on Monday 25 July. The winner will be picked using a random number generator. Good luck and thanks for following! So, I’m on holiday again – this time in gorgeous Portugal – but even whilst sunning myself I have sewing on the mind! 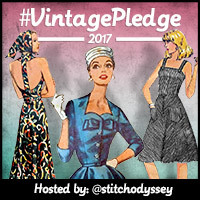 Back in May, Gina of Vintage Girl unveiled her Closing the Gaps Sewing Project, an idea I liked but didn’t give much thought to at the time. 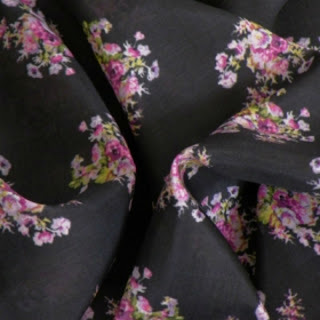 Recently though, I’ve been thinking about my willy-nilly approach to sewing and wondering whether a little more structure may prove more productive. I'd love to be able to take part in a 'self-stitched' or 'me-made month' sometime soon, but at the moment all my makes have been a little haphazard. 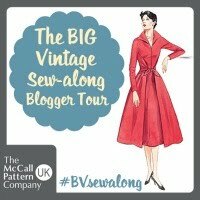 Don't get me wrong, I’ve enjoyed sewing whatever I’ve fancied and jumping on board random sew-alongs, but my wardrobe has some serious gaps that need addressing. I’m in desperate need of skirts and trousers. Apart from the occasional pair of jeans, I really struggle to find shop-bought bottoms that fit me, due to my awkward waist-to-hip ratio! 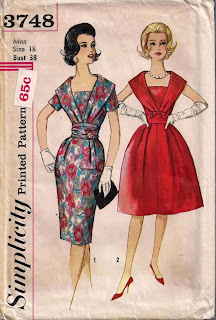 And, I've seen too many lovely versions of Simplicity 3688 not to try it, namely Jane's and Debi's. 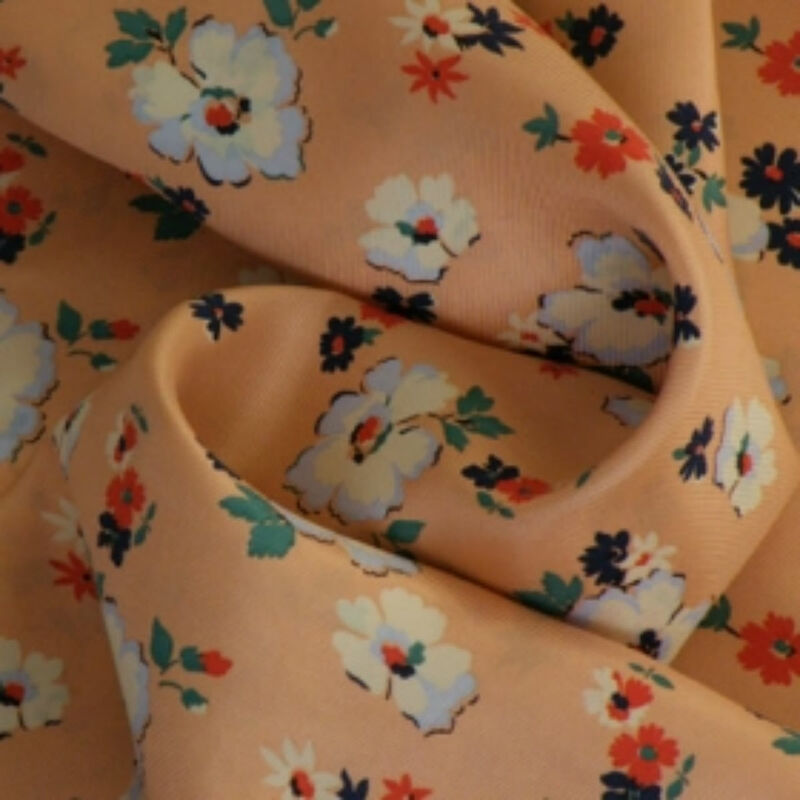 This is not a pattern currently in my stash, but I'm seriously thinking of investing in it! Of course I'm not ditching sew-alongs altogether ;o) I'm so excited about Sewaholic's new Lonsdale Dress sew-along starting in August...are any of you thinking of taking part? Inspired by Handmade Jane's delightful versions, I too decided to contribute to the Pillowcase Dress sewing appeal, that will hopefully help to bring a smile to the faces of girls living in poverty around the world. Louise from Sew Scrumptious is actually collecting dresses until the end of the year, to send on in bulk to the charity in America. Isn't that amazing of her?!? 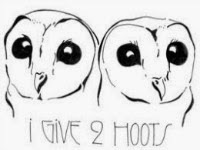 She's posted more information about the appeal here and if you've become inspired to take part, just drop Louise a line. I believe the current count is 90 dresses...93 when she receives mine this week! There's a great tutorial with downloadable pattern here, which you can be as creative as you like with. I decided to make 3 dresses, well, because it really is my favourite number! Although 2 of them have a contrasting band and 1 doesn't, they all have fabric tie casings instead of elastic casings. This is due to my irrational fear of sewing with elastic - I always jump to the conclusion that elastic is hard to work with and beyond my elementary skills. Does anyone else share this view, or is my fear unfounded? Because we’re already halfway through 2011 and because the only sewing I’ve done in over two weeks was to badly patch my boyfriend’s ripped jean’s pocket, I decided it would be cathartic to reflect on the year so far. It was like opening a can of worms! In terms of my Ambitious aims for 2011, however, I’ve been a terrible failure so far! Aside from ticking off sew-alongs from my list, the Pattern Cutting and Garment Making course I attended was very disappointing and resulted in an unfinished muslin, I'm still nervous about sewing some of my older patterns, I’m taking more than I’m giving back to the generous sewing community, my overlocker still terrifies me and I've not even touched my poor UFOs yet! Pretty abysmal, no? My biggest failure though is not having opened an Etsy store yet. The idea of selling my pinnies and maybe even other things for a living (or partial living), could well be a pipe dream. But if I don’t try though, I’ll never know and I’ll forever be unhappy at an office desk wondering ‘What if?’. There are many reasons I haven’t been able to get my Etsy dream off the ground yet of course – mainly it’s trying to find the time to sew. But when I look at people like Ohhh Lulu who manages to hold down a full time job and create the loveliest lingerie ever whilst also organising her own wedding, I feel ashamed. If you want something bad enough and you’re driven, then I guess you really can achieve it! Would any of you like to earn money from your sewing? Do you think it’s a pipe dream or do you think it's achievable? 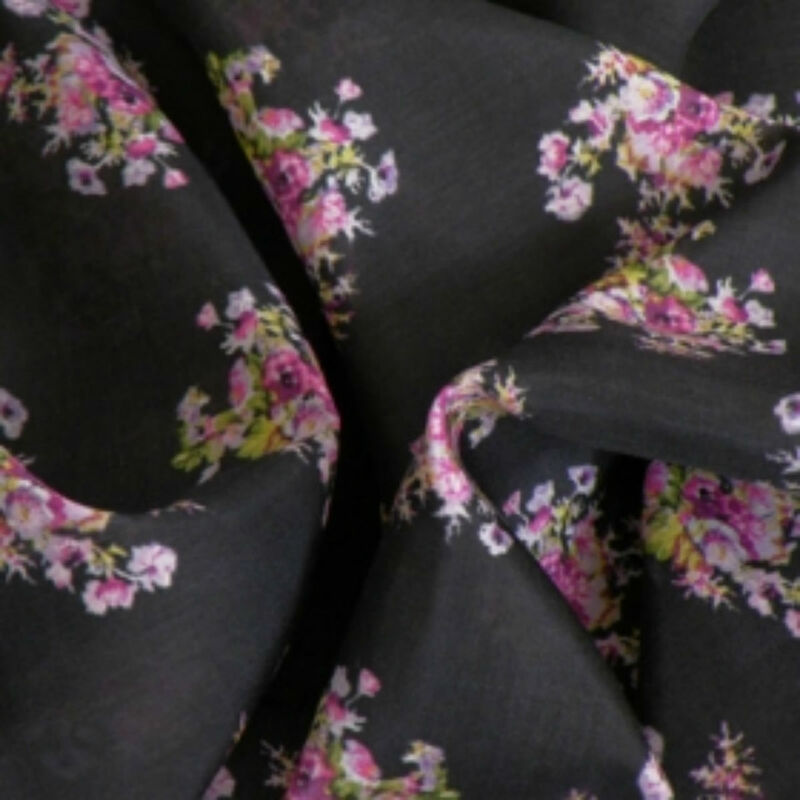 Maybe you already do sew for a living…any advice?